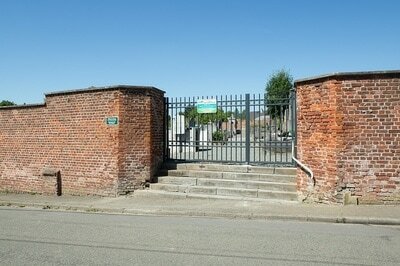 St. Laurent-Blangy is a village and commune, 3 kilometres east of Arras on the N.50 road to Douai. 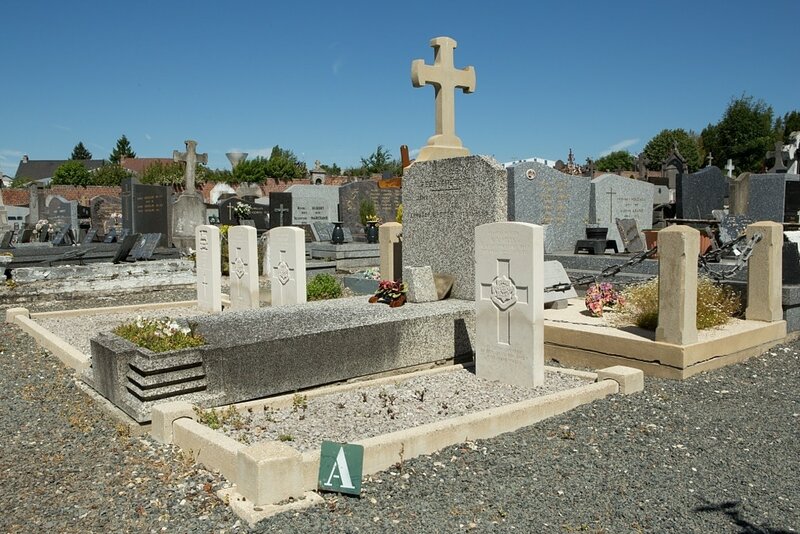 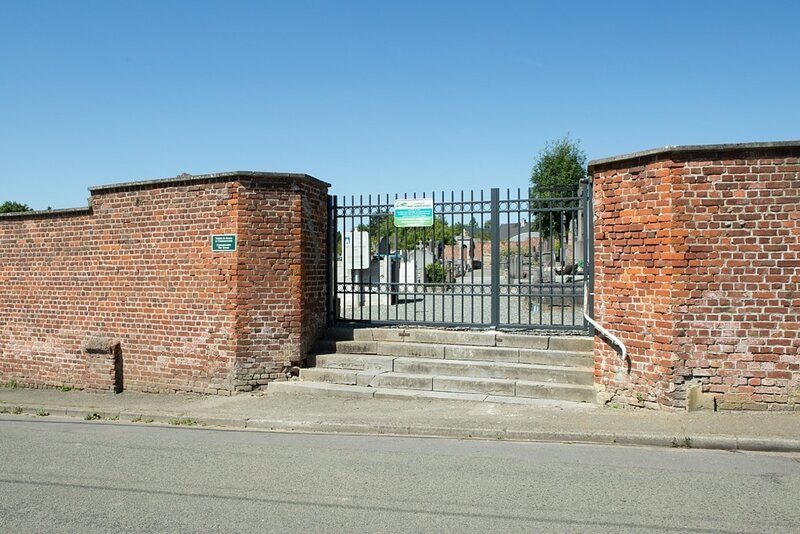 The communal cemetery is on the north-eastern side of the village about 1 kilometre from the church in a by-road leading to the main road (N 319) from Arras to Bailleul-Sire-Berthoult. In the southern corner are the graves of four soldiers from the United Kingdom one of whom is not identified. 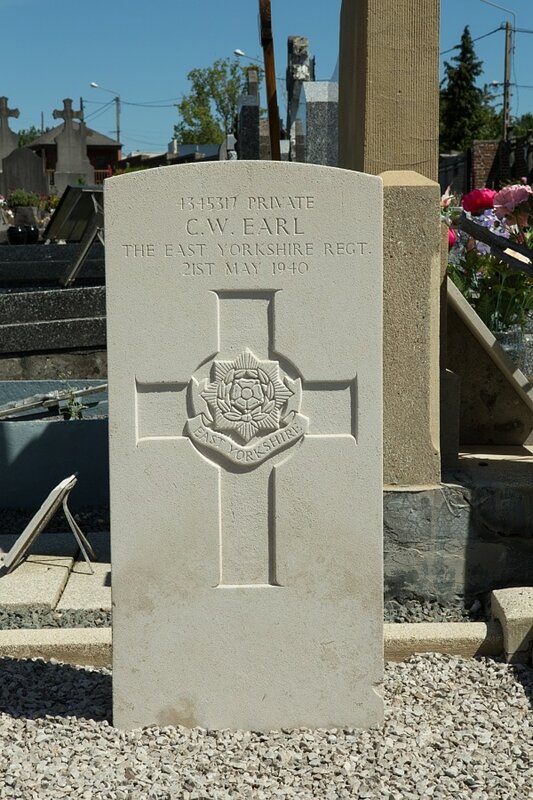 4345317 Private Charles Walter Earl, 4th Bn. 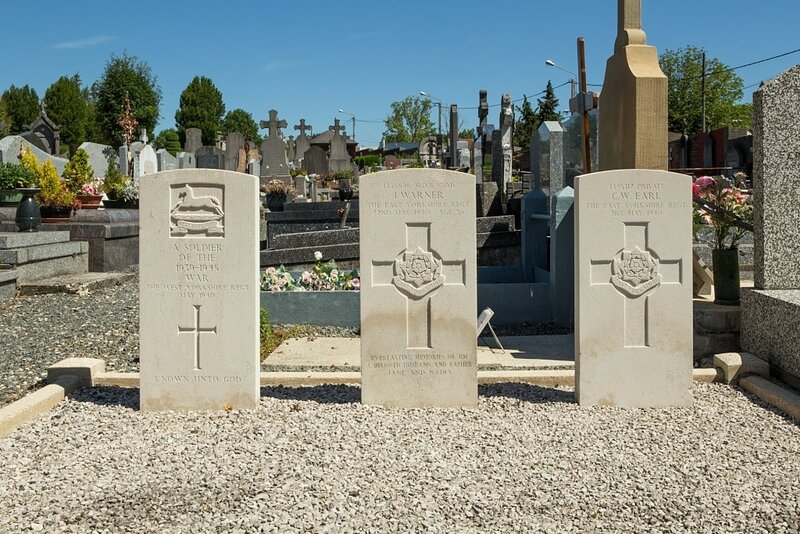 East Yorkshire Regiment, died 21st May 1940. 4344750 Private Richard (Dicky) Alma Hills, 4th Bn. 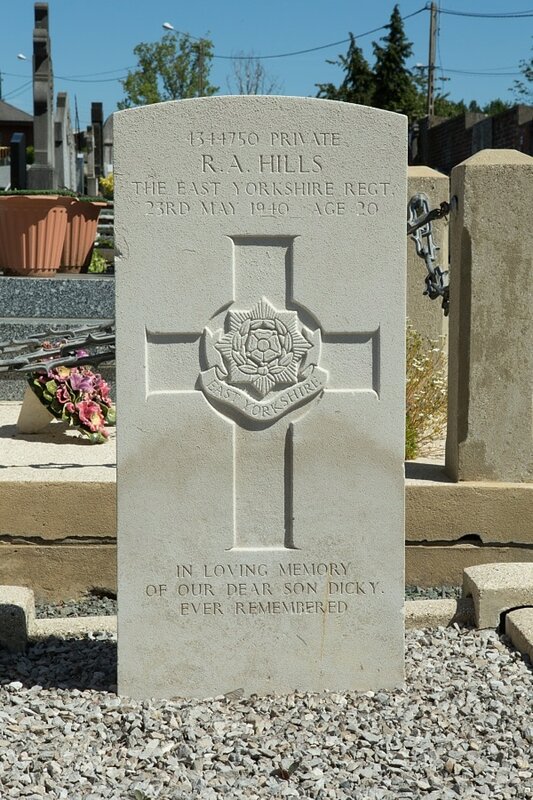 East Yorkshire Regiment, died 23rd May 1940, aged 20. Son of Richard Alma Hills, and stepson of Rosemond Hills, of York. 4336646 Warrant Officer Class II (C. S. M.) James Warner, 4th Bn. East Yorkshire Regiment, died 22nd May 1940, aged 36. 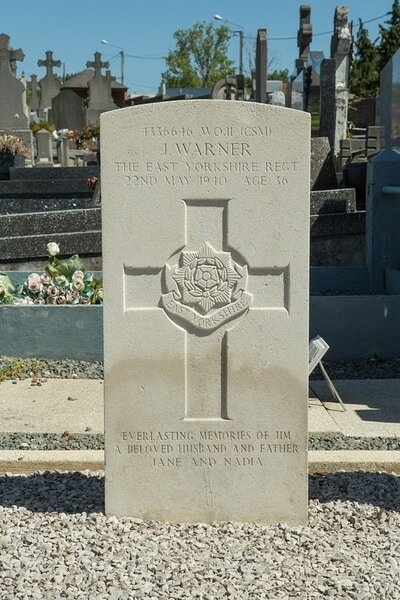 Son of Samuel and Ada Warner; husband of Lily Warner.